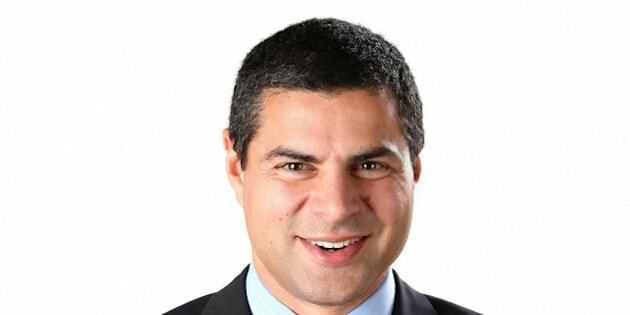 QUEBEC CITY - The mayor of Victoriaville, Alain Rayes, continues to receive his full salary, despite spending most of his time campaigning as a Conservative candidate in the upcoming federal election on Oct. 19. The city must also pay an interim mayor the same salary of $90,000 a year to take over his duties over the coming months. According to city councillor and lawyer Claude Brulotte, Rayes' decision shows "a lack of respect" towards voters. "He publicly announced he would not be fulfilling his duties. Therefore, he is obviously not fulfilling his mayoral obligations." Rayes stated his hands were tied: "If I was to forgo my salary, I would automatically have to step down and trigger elections in the City of Victoriaville. City clerk Yves Arcand confirmed he made that recommendation after having consulted with the minister of municipal affairs. "The city is obligated to pay the sitting mayor's salary, even if he is not fully attending to his elected duties. And the elected official must receive that salary as long as he holds the position," he explained, based on the minister's analysis. As far as Elections Canada is concerned, they explained that the law is silent on the issue. Unlike a provincial MP, an elected city official is not obliged to resign before running in a federal election. In August, however, the Conservative candidate for Richmond—Arthabaska cleared out his desk as mayor of Victoriaville. "To avoid any ambiguity, so that no one can say I'm taking advantage politically of my position as mayor, I prefer to step down," he told La Nouvelle. Rayes maintains that he continues to devote three hours per day to his mayoral duties. He explained that the interim mayor, Christian Lettre, is responsible for public appearances. "Otherwise, I would be making appearances as mayor at the same time as I am campaigning, and that could be seen as taking advantage of my position to gain visibility," said Rayes. But Brulotte the councillor believes the mayor should have stepped down. "He argued there was too much conflict of interest to be mayor, but not enough to resign," Brulotte said. The two men have worked together closely in the past: Brulotte campaigned by Rayes' side when he ran for the ADQ in 2003, and he also received the mayor's support during his own city councillor run. Among Rayes' federal opponents, Bloc Québécois candidate Olivier Nolin believes the situation is "not illegal, but immoral." Other candidates had not returned our calls by deadline. The mayor clearing out his desk last month was just "smoke and mirrors," said Nolin, who also believes Rayes should have resigned. "He let the population believe he had stepped down, that someone else had taken his place, but he continues to draw his mayor's salary." Nolin said this type of situation should not be allowed to occur in the next federal election. "The law should be revised," he said. The riding of Richmond—Arthabaska had been represented by Bloc MP André Bellavance since 2004. But, last year, Bellavance left the party to sit as an independent after disagreements with new party leader Mario Beaulieu. The Tories believed this would be a friendly riding ripe for the taking with a star candidate. Former Progressive Conservative MP, and later Conservative party advisor, André Bachand had held the seat from 1997 to 2003.